It's a 162-game season, and sometimes they all count. In game #161, the Yankee bats struggled all night. Mark Teixeira went 0-for-6 and left 9 men on base, and the Yankees as a team left 14. 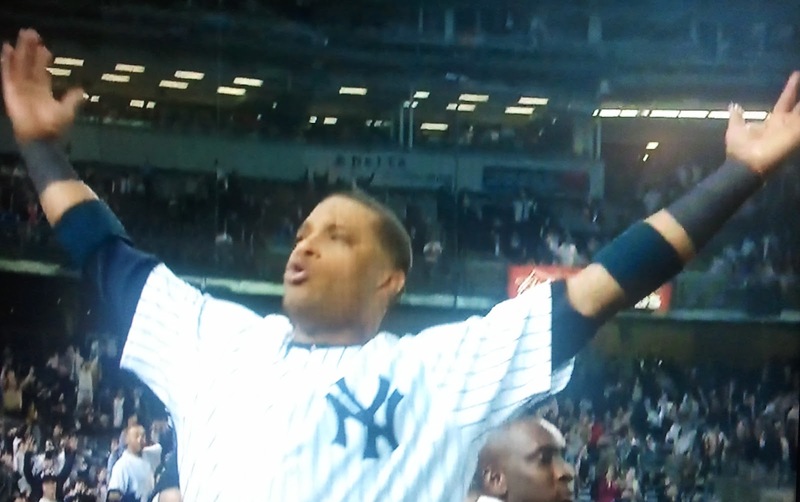 You'd have to think this was the Red Sox last stand of a woeful season, taking a 3-1 lead to the bottom of the 9th. But in a game that's been indicative of their last 3 weeks (the Yanks have won 15 of last 20), they came through when it counted. And again it was Raul Ibanez launching another clutch last-gasp home run. Ibanez's production this year has been inconsistent but undeniable with 19 HR and 62 RBI as a part-time player. That's more HR & RBI than A-Rod in 79 fewer ABs. And give Joe Girardi credit. He makes a lot of moves and makes the manager's presence way too visible, but this year he has made it work in probably his best managing job. He pinch-hit Ibanez for a hot-hitting Eduardo Nunez in the 9th, setting up the eventual win, and was clearly pleased enough to lighten up. 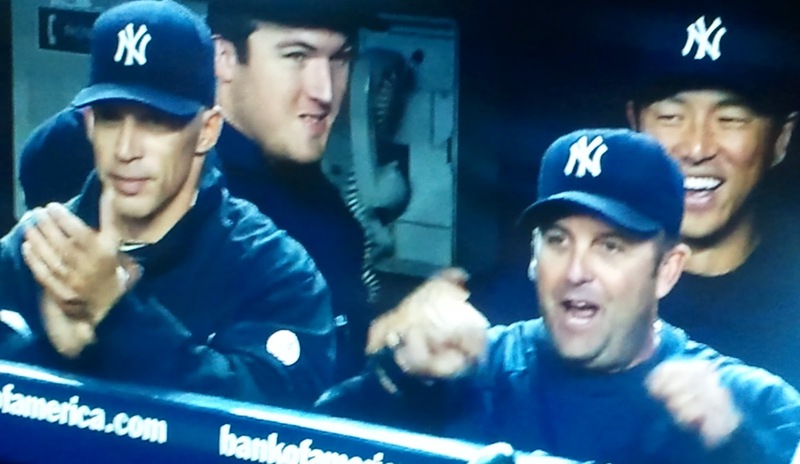 Girardi knew how crucial the game was. He went with closer Rafael Soriano for the 9th while trailing. Soriano's rescued the Yankees' season with 42 saves in place of the injured Mariano Rivera, and Girardi stuck with him after giving up a solo shot in the 9th, bringing him back for a scoreless 10th. Ibanez then won the game in the 12th with an opposite-field single off a lefty, and you can't undersell what the game meant. It means that the Yanks can clinch the AL East on Wednesday night with Hiroki Kuroda on the mound. If they win or the Orioles lose in Tampa Bay, they'll be the outright division champs. That would mean the Yankees would avoid the slippery slope of the Divisional Tiebreak Thursday, the possible one-game Wild Card Showdown Friday, and if they survive that, to play an ALDS game Sunday. They would just get to take 2 or 3 days off instead. And due to the events just before 1 AM and the surging Oakland Athletics, the Yankees are set up for the top seed in the AL Playoffs as well. 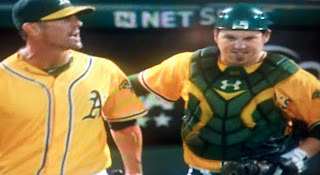 The A's really came from nowhere, as much as 13 games back in the AL West. And last night Grant Balfour entered the 9th against Texas with the RF bleachers moshing to Metallica's "One." And when he closed Texas one-two-three, the A's were tied atop the division. The A's and Rangers won't have to play a Tiebreak Game #163 on Thursday because their tiebreak is today, Game #162. And the A's go with 24-year old rookie sensation A.J. Griffin (7-1, 2.71) against Rangers veteran Ryan Dempster. That's at 3:30 ET. And there are scenarios (baseball's tiebreakers are ridiculous by the way) whereby the A's could get the top seed in the AL as well, but would obviously need a Yankees loss. In the NL, the St. Louis Cardinals secured the second wild card spot even though they lost to Washington, because the Dodgers lost at home to the Giants last night. I can hear Vin Scully saying, "And you just know the Giants would walk over hot coals to keep the Dodgers out of the postseason..." And sure enough the Giants eliminated them behind Barry Zito (remember him?) who won his 15th last night! While the top seed in the NL has yet to be determined (Washington or Cincinnati), the NL Wild Card Showdown is set for Friday with St. Louis at Atlanta - likely Kyle Lohse (16-3, 2.86) vs Kris Medlen (10-1, 1.57). It'll be on TBS with a start time TBD. And a shout out to the Tigers' Miguel Cabrera who is looking at the first Triple Crown (.331, 44 HR, 139 RBI) in 45 years, unless the Rangers' Josh Hamilton does something heroic on the last day of the season. And if there's anything we've learned from the final day last year, if it's mathematically possible it can happen.